Hello there! Welcome to another week of Friday Favorites and Remodelaholics Anonymous! We love seeing and sharing great ideas — so send them our way! If you have a blog, you can link up below, and if not, drop us a line here or message us on Facebook. This week we’ve got a little bit of pumpkin, a little bit of board and batten and a little bit of mid-century modern. What are you most excited about? Favorite Built-In: We love built-ins in all shapes and sizes. 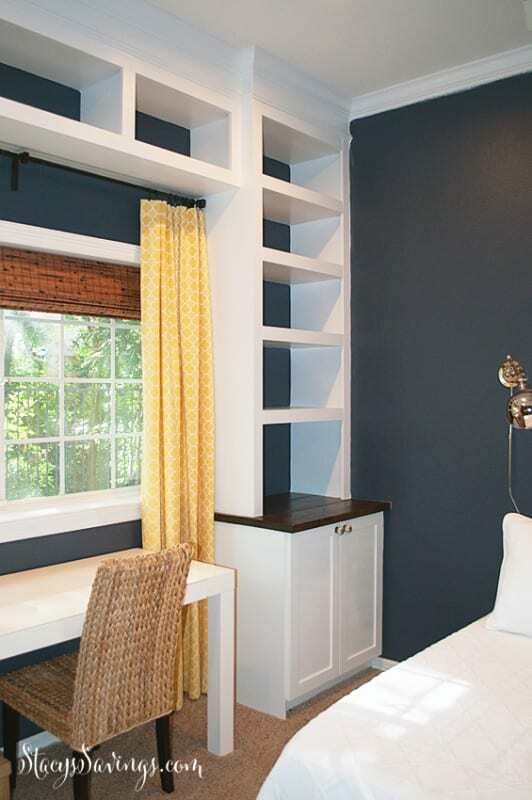 These shelves around a window and desk by Stacy’s Savings have us swooning. Favorite Rocket Ship Inspired Project: Theme rooms are so fun! 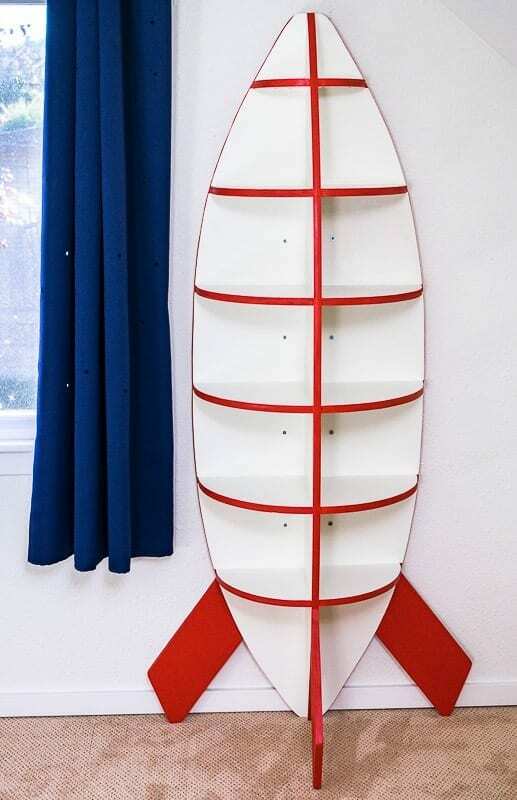 Especially when they involve custom pieces like this rocket shelf by The Handyman’s Daughter. Storage and a theme all wrapped into one. 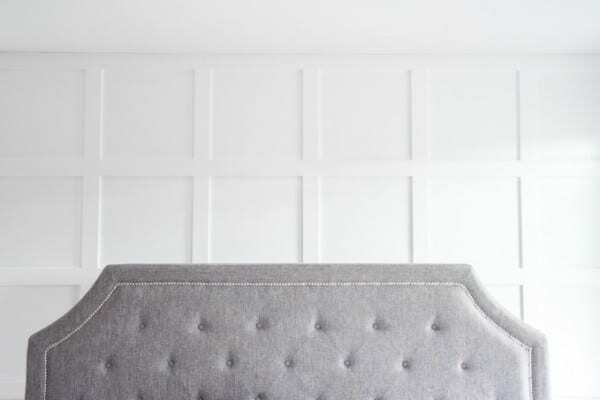 Favorite Grid Wall: Board and batten can be done in so many ways. This week we are in love with Keys to Inspiration grid design. It would look great in a bedroom, dining room, or just about anywhere. Favorite Pumpkin Idea: It is pumpkin season! 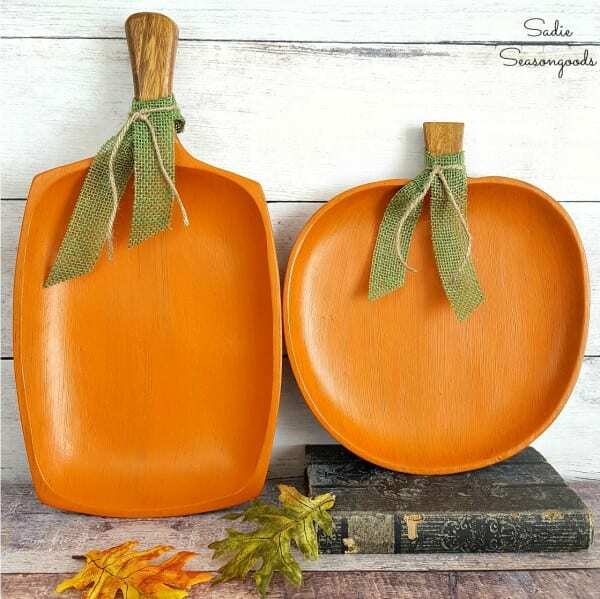 If you don’t love the taste, maybe you like the pumpkin inspired projects, like this one by Sadie Seasongoods. Favorite Mid-Century Dresser: This is mid-century style with a twist. 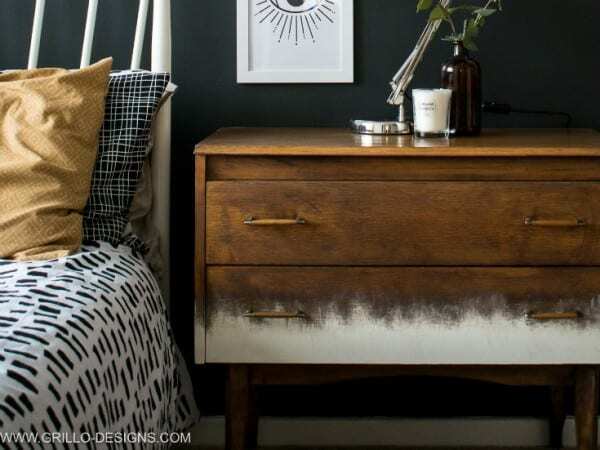 The added paint with the stained wood gives this dresser a cool vibe. Read all about it at Grillo Designs. Favorite $3 Project: Budget and easy! 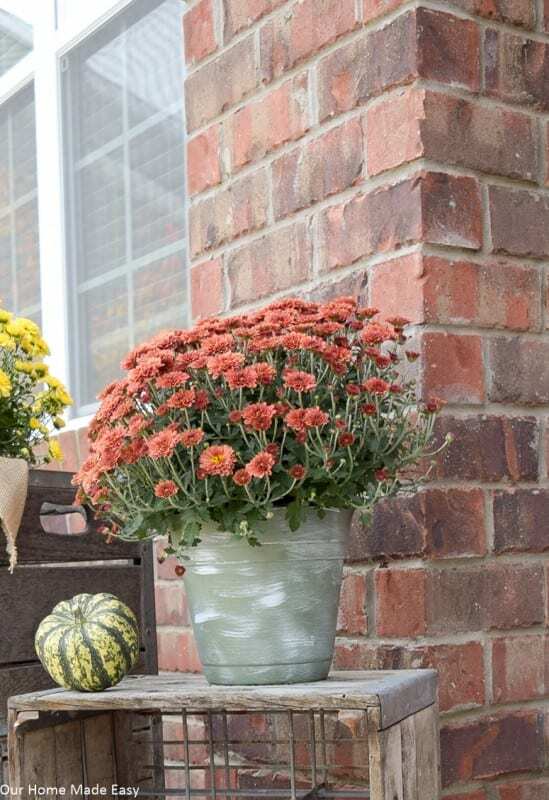 Our Home Made Easy shares how to get a farmhouse planter look. I’m always a fan of these types of projects. Favorite Unusual Power Tools Use: Just Measuring Up carves their pumpkins with power tools and cookie cutters. If you have the tools you may as well get all the use out of them as you can! I’m Emily and I share my ideas to celebrate and create over at The Benson Street.